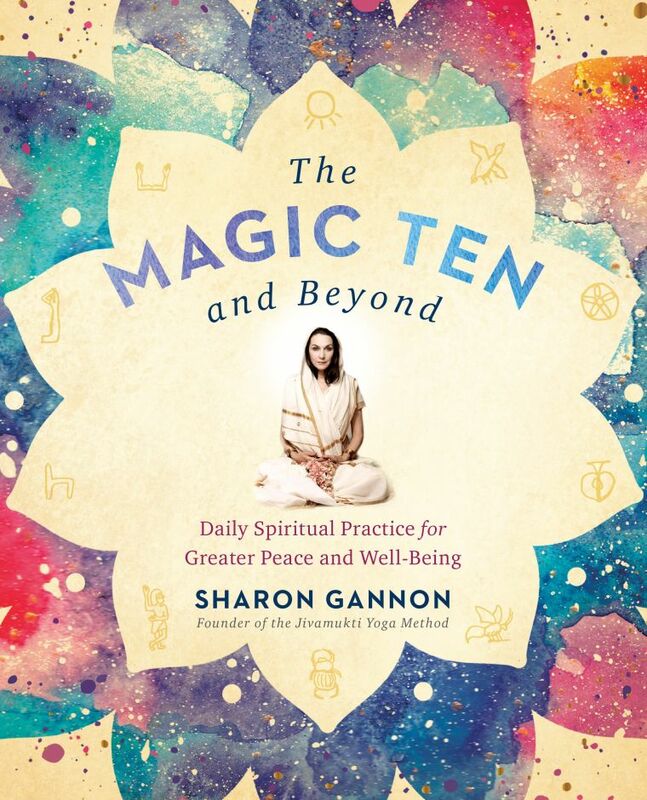 In her latest book, The Magic Ten and Beyond, Sharon Gannon, who together with David Life founded Jivamukti Yoga, shares her own personal spiritual practice, or sadhana, so that others can learn how to use yoga to start their day auspiciously. Beginning with giving gratitude and blessings, Gannon then discusses asana, kriyas, meditation, and more, explaining each practice and offering guidelines for experimenting with it. Whether you’re just starting out on your yoga journey or are well on your way, Gannon’s wisdom can help you easily and joyfully take another step along that road. Here, she talks about establishing and maintaining a yoga practice. You have long been heralded as a yoga innovator. Where does your inspiration come from, and how do you keep its flame burning? How did you come up with the Magic Ten? My inspiration comes from my awe and passion for these ancient practices. Inspiration doesn’t come from outside—it springs from inside, from practices that draw us inward toward our true Self. Inspired practice never gets old or boring—it continues to renew itself, revealing more and more depth to the mystery. I “came up” with the Magic Ten practice by practicing; the sequence unfolded before me and I kept following it. I’m still following it. You famously say, “With repetition the magic is forced to arise.” Some people take a smorgasbord approach to practice—doing different kinds of meditation and asana daily. Is it important to do the same practice every day or just some kind of practice? Who’s to say what someone else should or should not do? Personally, I like doing the same practices every day, but I realize that my approach is my approach and might not be good for others. It seems that when people are seeking something meaningful to do with their lives they investigate and try out many practices. Often those people find what works for them and then stop shopping around. Others never seem to settle with anything that satisfies them and continue to seek and explore. But it is wise to remember that life is short and to master anything you need to go deeply into it—to practice it regularly over and over again. You teach all over the world, do your practices, study scripture, paint and garden and cook, and you still find time to write! How do you make time for it all, and what’s your response to those who say they don’t have enough time for a regular practice? I make time for the things I feel are important. For me “making time” means that I precisely schedule the hours of my days. I’m pretty strict with adhering to my daily schedule. I think this is not unusual for a yogi—time management and committing to practice takes discipline, a yogic skill that falls under the category of “tapas” from Patanjali’s niyamas [observances]. I view everything I do throughout the day as a spiritual practice—meaning a conscious offering of action to the Lord. Whether it’s practicing the piano, holding handstand for 60 breaths, chanting mantra on beads, sama vritti pranayama [equalizing the inhalation with the exhalation], reading scripture, painting a picture, sewing or preparing meals, ironing napkins or washing the floor—it’s all an opportunity for sadhana, and that means it has to be done with regularity as well as complete focus. What does that mean? Well, for example, “regular” means consistently, every day or close to it and at the same time. “Focusing” means concentrating—being present in the moment, not distracted. When I am traveling, obviously, my daily schedule changes, but I still adhere to doing many of the practices: deity worship (Krishna seva), the complete Magic Ten and beyond, and reading Shrimad Bhagavatam and other scriptures. These practices I do every day no matter where I am. How do you judge the effectiveness of a practice and whether it’s a keeper? 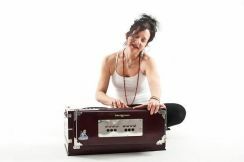 The effectiveness of a practice can be felt by the level of joy you feel in your life. Another sure way to tell if your practice is working is that you look forward to doing it. If for some reason you miss a day, you can’t wait to do it again. In your book, you say that “Improving one’s diet is the first step to improving one’s breathing.” A pure yogic diet is said to be sattvic. Can you explain why and how that translates into the foods we eat? Sattva is one of the three gunas, or qualities, that make up material existence. Sattva means “pure,” as in free from contamination, unpolluted. Sattva also means light and balanced. Eating is obviously an action. Actions are karmas. Yogis want to purify their karmas—purify their actions. Our bodies are made of our karmas. A pure action is an action devoid of pollution. Actions motivated by anger, selfishness, cruelty, ignorance, and laziness contaminate and do not lead to lightness—a sense of well-being, happiness, or joy. Foods like meat, fish, eggs, dairy products, honey, and non-organic foods that have been genetically modified, sprayed with poisonous herbicides and pesticides, are not sattvic foods because they do not promote or nourish lightness, happiness, or well-being for the eater of these foods, for the planet’s ecosystem, or for the animals who were harmed or killed. As living beings we already have bodies contaminated with our own past karmas, so why contribute to more suffering? Why not lighten your karmic load now by choosing to eat sattvic foods? No one can truly experience happiness or well-being by causing unhappiness to others. This is why the best, most nutritious, nourishing choice for a yogi is to eat sattvic prasad: unprocessed, organic, vegan foods that have been prepared with love and offered to God first. Is it okay that my cat sits in my lap when I meditate? I meditate in an open space and it seems more productive and nicer to let him do his thing rather than try to lock him in a room. You can purchase The Magic Ten and Beyond here.